We primarily target Silver and King salmon aboard the Keep It Reel with Latitude 60 Marine. Each of the 5 species of salmon has 2 names! 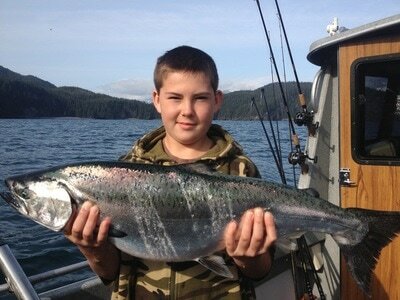 ​We target the mighty king salmon as well. Our king salmon fishery concentrates on the feeder King biomass in the Gulf of Alaska. 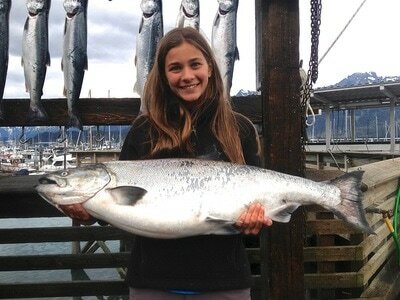 The king, or Chinook, has a life cycle of 5 years. We are targeting and catching the 3-5 year old fish who are growing and feeding towards maturity in the expanse of the ocean. Through 25 years of experience in fishing Alaska, we have learned to target salmon in two ways: mooching and trolling. We generally prefer mooching for silvers and trolling for kings. 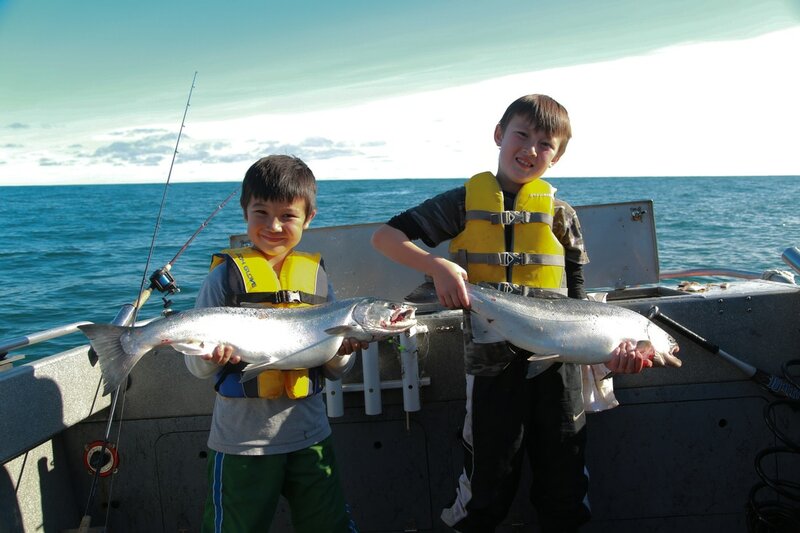 It all happens in the prime fishing grounds around Seward, as we provide thorough instructions on the fishing style, technique and use of the gear. We are with you all day and take pride in our exceptional service. 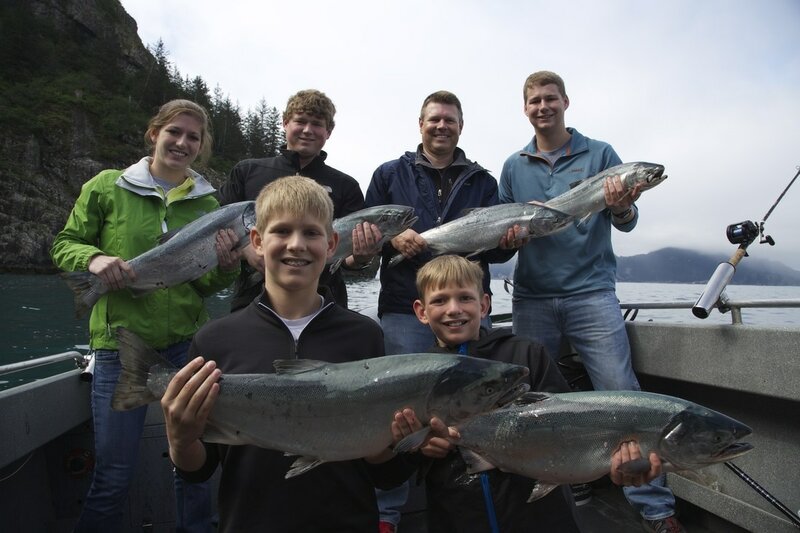 Throughout the season you will often see catches of 4 of the 5 species of salmon in one trip. 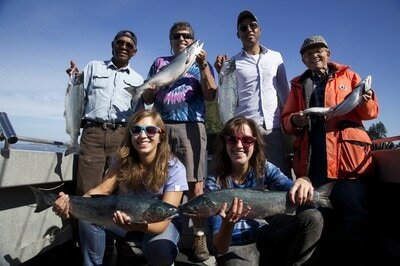 While targeting silver salmon we do get king, chum and pink salmon mixed in. This makes for a great day of fishing. 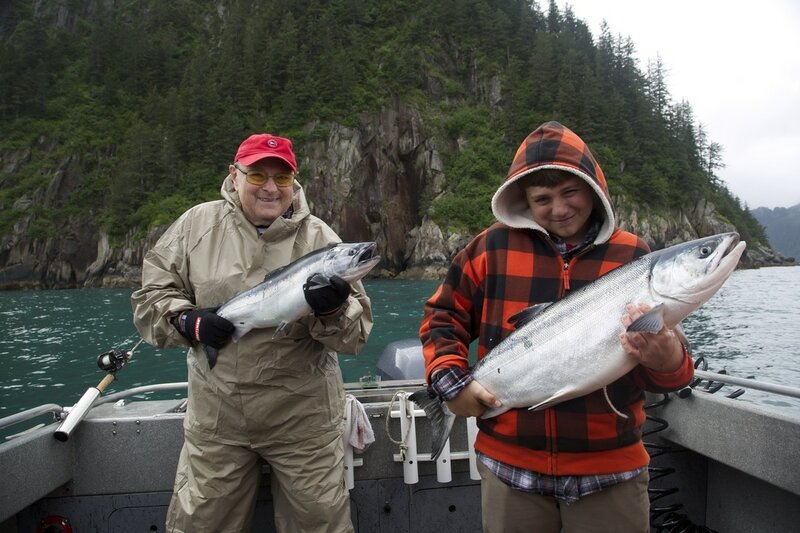 When trolling, we rely on our twin Yamaha 300-hp motors to control the boats’ speed along with Scotty brand down riggers to help us present your bait at a desired depth for maximum success. 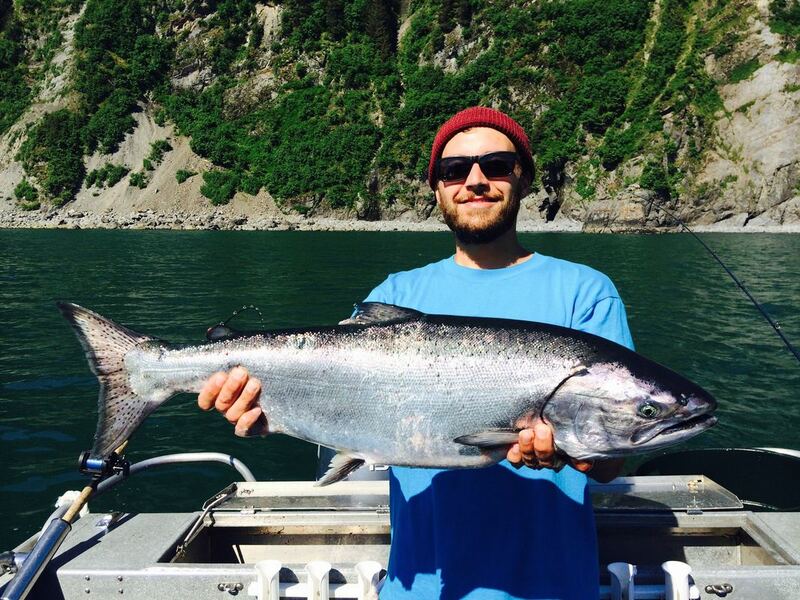 We primarily troll when targeting king salmon. All fish harvested are handled as top grade seafood and are properly cared for onboard, then filleted once back at the dock. 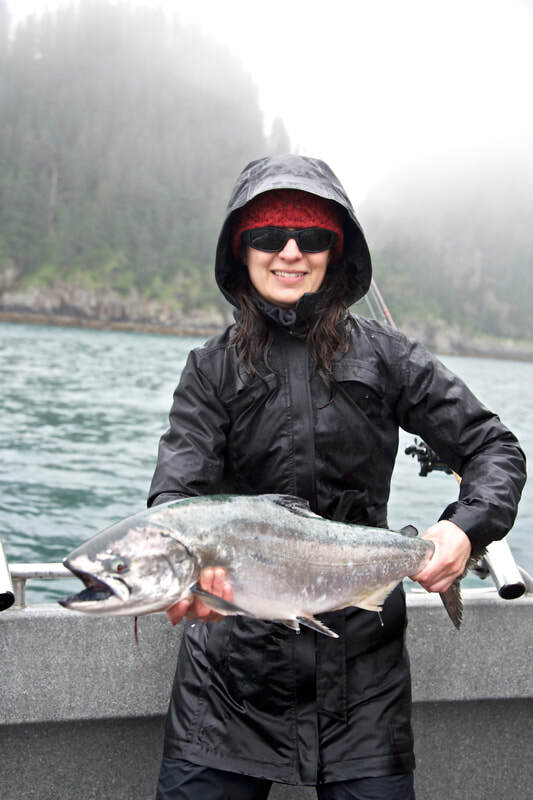 Once processed and vacuum packed, the king and silver salmon have excellent shelf-life in the freezer. Shiny, chrome, ocean-bright pinks and chums are also excellent table fare. We suggest eating these fish fresh or smoking them. ​​It's actually one of the best ways to spend your day on a boat! This style of fishing is simply your rod, reel, hook and sinker. You feel the bite and you set the hook. 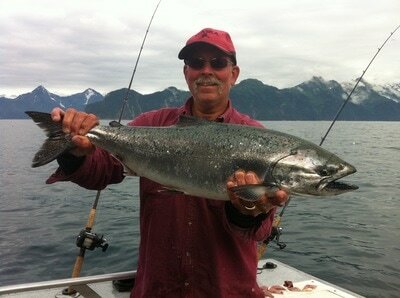 Mooching is a very productive fishing style, and our bread and butter for successful silver salmon fishing. No standing around, and everyone can keep fishing while other fish are being landed. We joke as we say, "You are in control of your own destiny!"